Spring, oh glorious spring! The weather we’ve been waiting for all though the long, cold winter has finally arrived. During the past week, we met friends at the park, played tennis a couple of times and went for several walks. 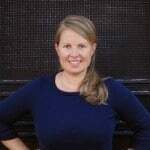 My kids have spent more time outside, than in the house. We are enjoying every minute of it! Along with the nice weather comes fun spring celebrations. 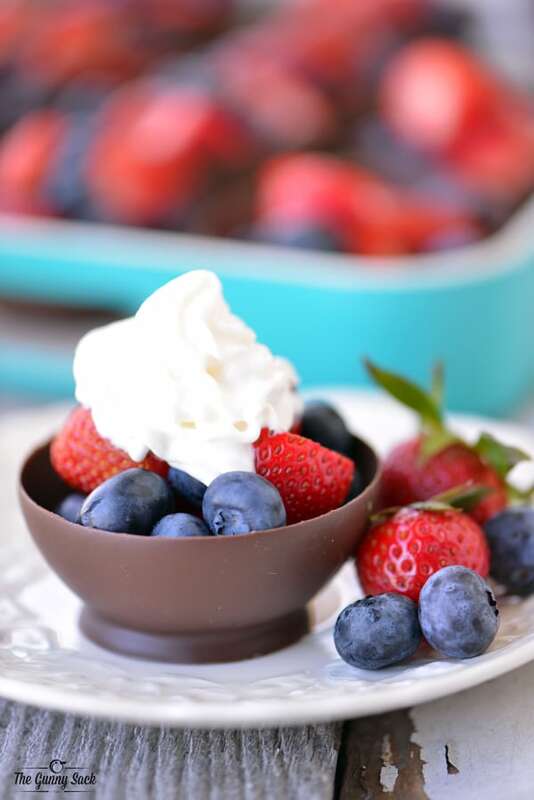 Today, I am excited to show you how to make chocolate dessert bowls filled with fresh fruit that would perfect for serving at a spring brunch. 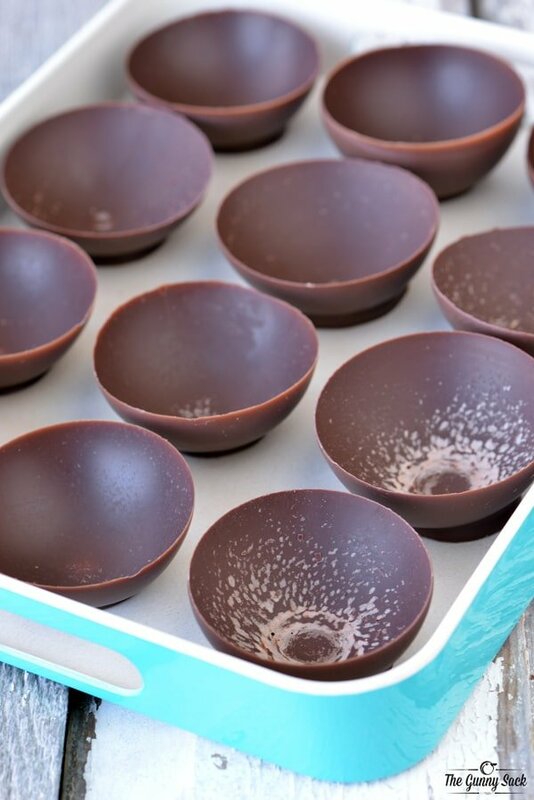 I saw this Behind the Pin: #Adorabowl video from Target and knew I had to try to make the chocolate bowls. I found all of the ingredients at Target Grocery. I shop at Target at least once a week because I love how easy it is to get everything I need in one place and I like knowing that I am getting a great value. 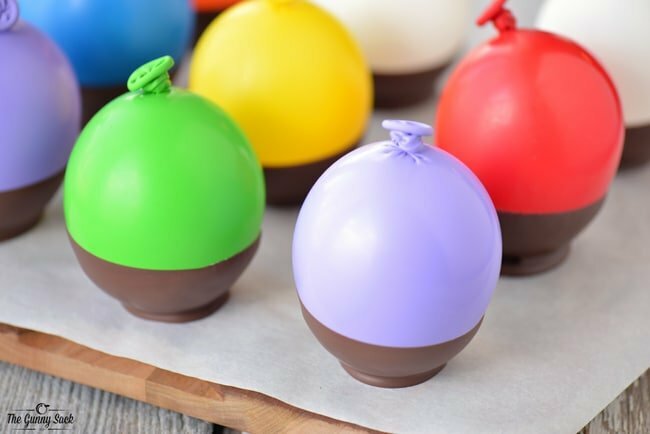 To make the chocolate dessert bowls, first wash and dry the Spritz balloons. I tried making the chocolate bowls with both water balloons and regular balloons. I found that the regular balloons worked better for me because they were easier to remove from hardened chocolate. 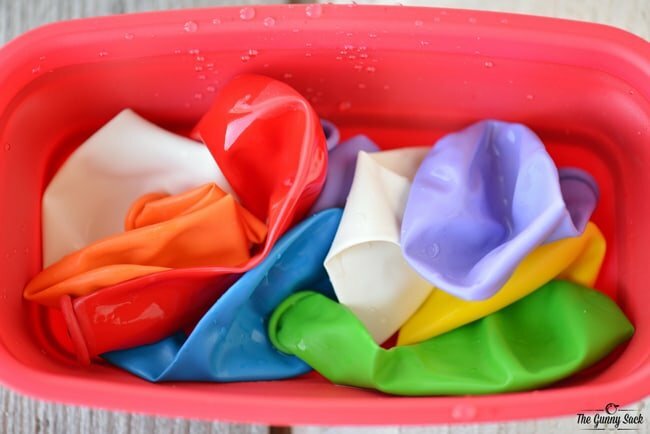 Blow up 12 balloons (or as many as you want), making sure they fit into the bowl you will be dipping them in. To make the balloons rounder on the bottom, I first blew them up so that they were large and then slowly let the air out until they were the size I wanted them to be. I squished and squeezed the air around, to help shape the balloons, before tying the top. Next, melt the chocolate CandiQuik in a small bowl. Melt as much chocolate as will fit into the bowl and melt more as needed. I found this super cute dip bowl at Target and since it is microwave safe, I used it for melting the chocolate and dipping the balloons. 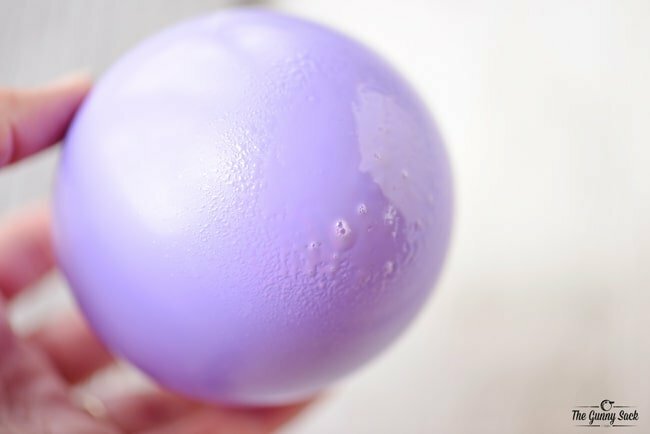 Spray the bottom of a balloon with a little cooking spray. This step is optional, but I found that it was easier to remove the balloons once the chocolate hardened. One thing I noticed is that the cooking spray left small spots in the bottom of the chocolate bowls (see picture below). Since the bowls are filled with fruit, it didn’t matter to me, but I wanted to give you a heads up. Use the back of a spoon to make small circles of chocolate on a piece of parchment paper. This will help form the base of the chocolate bowls. 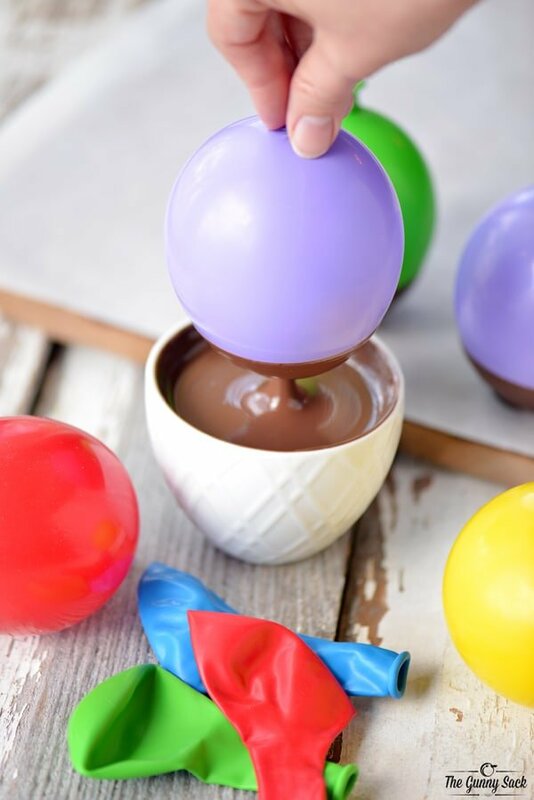 Dip the balloons in the melted chocolate and set them on the chocolate circles on the parchment paper. Allow the chocolate to harden for at least one hour. Then, melt more chocolate and re-dip the balloons. Re-dipping the balloons helped to make the chocolate bowls more sturdy and less likely to break. Allow the chocolate to harden for at least one hour. Then, s-l-o-w-l-y let some of the air out of the balloons. 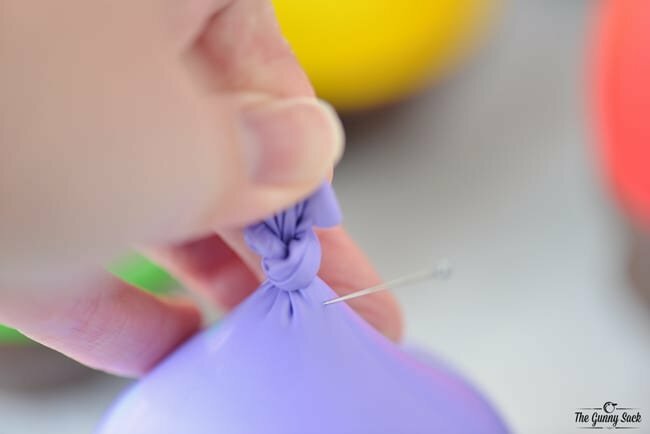 Start by pulling up on the knot, use a pin to poke a hole near the knot and let some of the air out of the balloon. 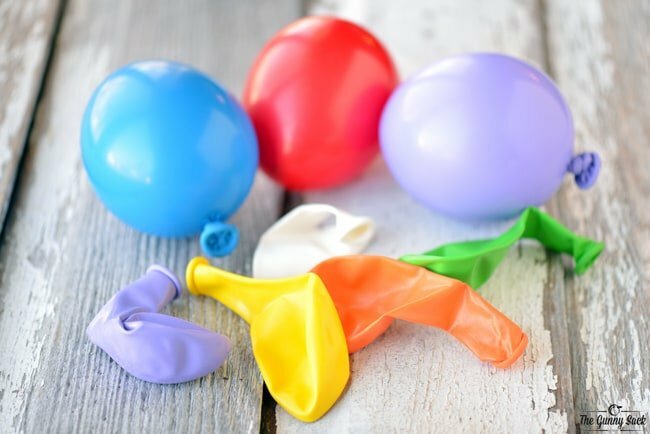 If you pop the balloon quickly, some of the chocolate bowls may break. With the balloon slightly deflated, carefully pull the balloon away from the chocolate bowl. Remove more air if needed and then completely remove the balloon. Put the chocolate bowls on a tray. I found this pretty serving tray at Target. It is perfect for spring and Target is the perfect place for picking up everything you need for spring entertaining. Fruit is an essential ingredient for so many spring brunch ideas from main dishes to desserts. 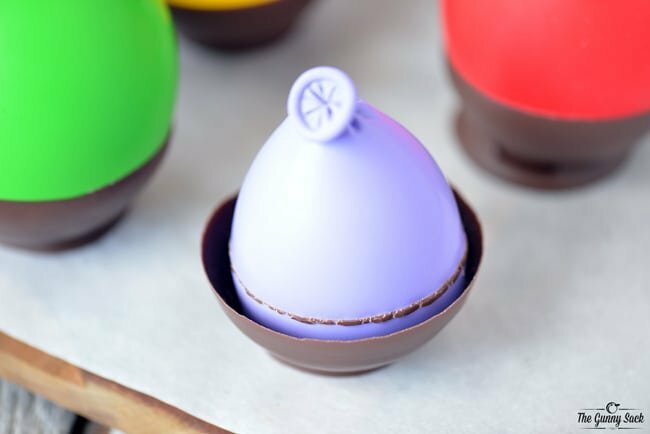 It is ideal for filling the chocolate bowls. 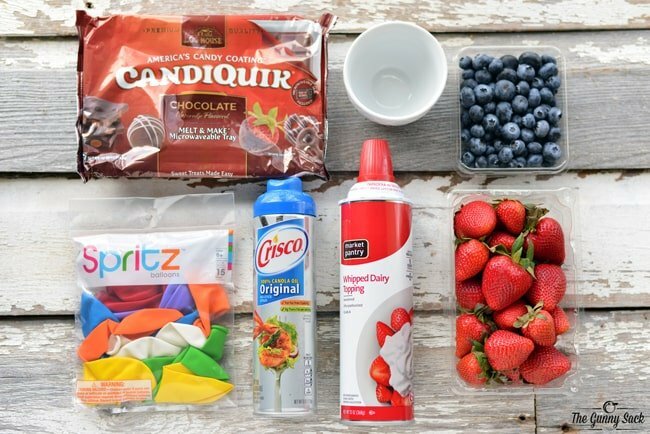 The bright colors look pretty on display and the chocolate tastes great with both the strawberries and the blueberries. Once the chocolate bowls are ready to be filled, wash the strawberries and blueberries. Then, slice the larger strawberries into smaller pieces. 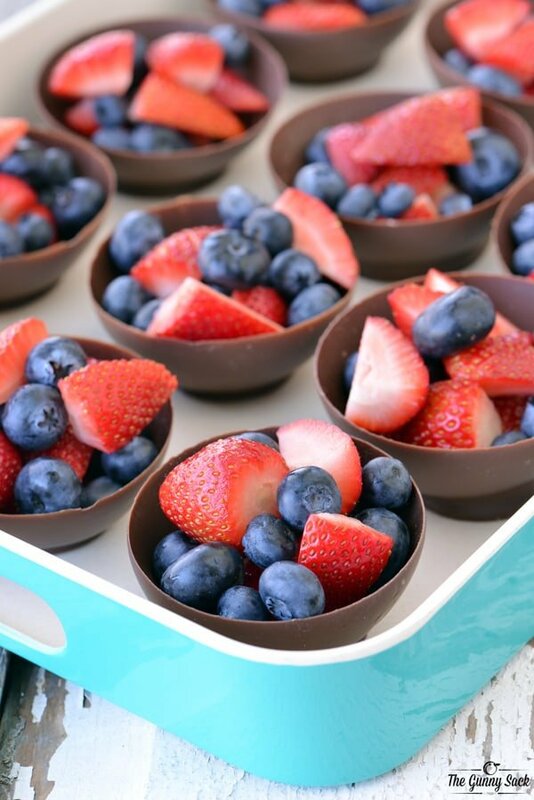 Fill the bowls with the blueberries and strawberries. Before serving, top the fruit with Market Pantry Whipped Cream. I am delighted with how these chocolate bowls turned out. I made a double batch of these mini fruit bowls and we shared them at a spring celebration last weekend. Everyone loved them, from the little kids to adults, and I even noticed several people go back for a second chocolate dessert bowl filled with fruit! The red, white and blue in this dessert, would make these perfect for 4th of July as well. Wash and dry the balloons. Blow up 12 Sprtiz balloons so that they will fit into the dipping bowl. 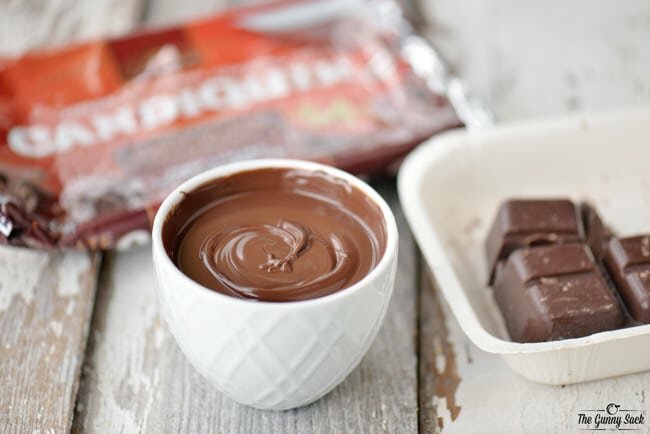 Melt the chocolate CandiQuik in a small dipping bowl. Spray the bottom of a balloon with a little cooking spray. 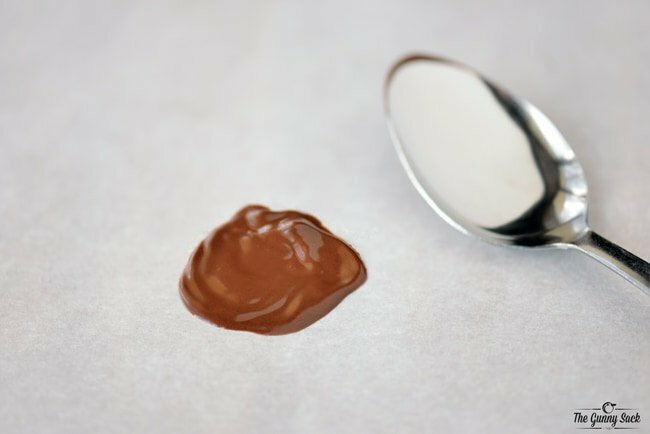 Use the back of a spoon to make a small circle of chocolate on a piece of parchment paper. Allow the chocolate to harden for at least one hour. Melt more chocolate CandiQuik and re-dip the chocolate bowls. S-l-o-w-l-y let some of the air out of the balloons. Carefully pull the balloon away from the chocolate bowl. Wash the strawberries and blueberries. 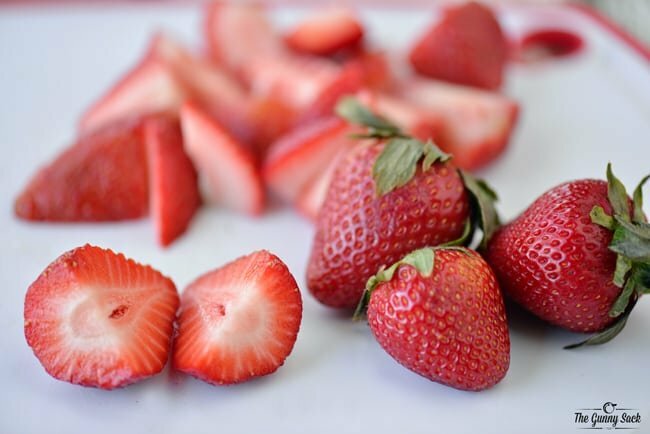 Slice the larger strawberries into smaller pieces. 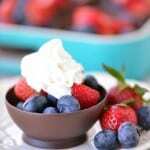 Fill the chocolate bowls with the blueberries and strawberries. Before serving, top the fruit with Market Pantry Whipped Cream. Hi from England:) thank you for the recipe. Can I fill these with chocolate mousse? And how long in advance would you recommend making them before filling and after filling?